Last year Ventura Cigars introduced a new cigar line known as the Archetype. There were 5 different blends in the line. One of those blends, the Dreamstate made #3 in our 2016 top Connecticut cigars. I suppose I was not the only one that enjoyed that blend, as Ventura Cigars has announced it is currently out of stock of the Archetype Dreamstate. The Dreamstate even earned a 95-rating by Cigar and Spirits Magazine. Outstanding Ventura, outstanding!! If you have not experienced the Ventura Cigars Dreamstate you are missing out on one of those relaxing flavor filled journeys that only a fine cigar like the Dreamstate can provide. 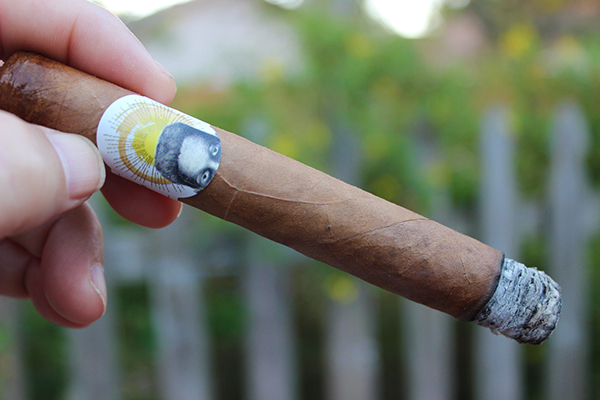 It made #3 in the Stogie Press 2016 list because it had some of the most enticing and unique flavor notes such as honey and almond while it offered a deeper complexity than the average Connecticut on the market. The Dreamstate features an Ecuadorian Connecticut wrapper with a Dominican San Vicente binder surrounding a multi-country filler blend. “Customers currently searching for the Archetype Dreamstate cigars should be able to find them at ThompsonCigar.com, Bestcigarprices.com, and Famous-smoke.com, and other premium tobacconists nationwide. For more information about Archetype cigars, or other products from Ventura Cigar Company, please visit www.venturacigar.com. Ventura Cigar Company (VCC) is a unique cigar brand born in sunny Southern California that is on a mission to create memorable, complex cigar blends that excite the senses and reward discriminating palates. Their flagship Archetype, Case Study, Project805, and PSyKo SEVEN brands offer multiple award-winning blends that have earned 90+ ratings in Cigar Aficionado, Cigar & Spirits, and Cigar Snob. Ventura Cigar Company also distributes the 4th Generation and Comoy’s of London line of pipe tobacco products, extending its reach and tradition of offering top-quality tobacconist products. Pipes and blends under these brands are cultivated through generations of craftsmanship, making them longtime favorites of pipe tobacco enthusiasts. This entry was posted in Cigar News, Ventura Cigars and tagged Archetype Dreamstate, cigar news, press release, Ventura Cigars. Bookmark the permalink. A few days ago, I climbed up over the rocky hill on the way to my neighbor's house. I carried a couple of cigars, a bottle of scotch, and two cups.